I didn't get a credit on the disk as writer, though the IMDB shows one, because I came in after all the material was shot at and before the premiere in February 2004.... Rather, I was credited as "Post-Production Consultant," though I did a lot to earn that. 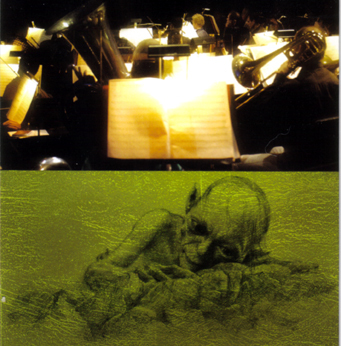 My job was to take all the "B-roll" - the material showing rehearsals and preparation for the concert, plus "talking head" interviews with Howard Shore and others, then conceive, research and write 13 minute-long 'mini docs' dealing with different aspects of the music. These became what's called an editing script. Then, when all of that was approved by the powers that be, including Mr. Shore, not to mention my producer and New Line Pictures, we cut these into the concert footage. 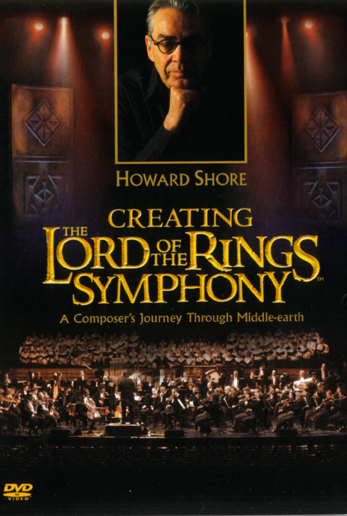 Ultimately, Howard Shore himself came to the studio to re-record his interviews, and record commentary in his own words, using what I had written as a guide. This was the best, because it made it his own. However, in a production associated with as big a project as the Lord of the Rings movies, they wanted to leave as little as possible to chance. Peter Jackson himself watched the program, and gave final approval. I was happy to be a part of this, because of the great experience gained. (I even, with the help of the studio editor, cut together my own version of the project in the editing suite, which was used as the basis for the final edit). As a teenager I had been a big fan of the books, and read them several times. I hadn't looked inside them for a while, but when the movies came out, that made me remember. I even could still recite snippets of several of the poems, which probably helped convince them I was right for the job!